I find the packaging box is too big considering the number of contents inside it. 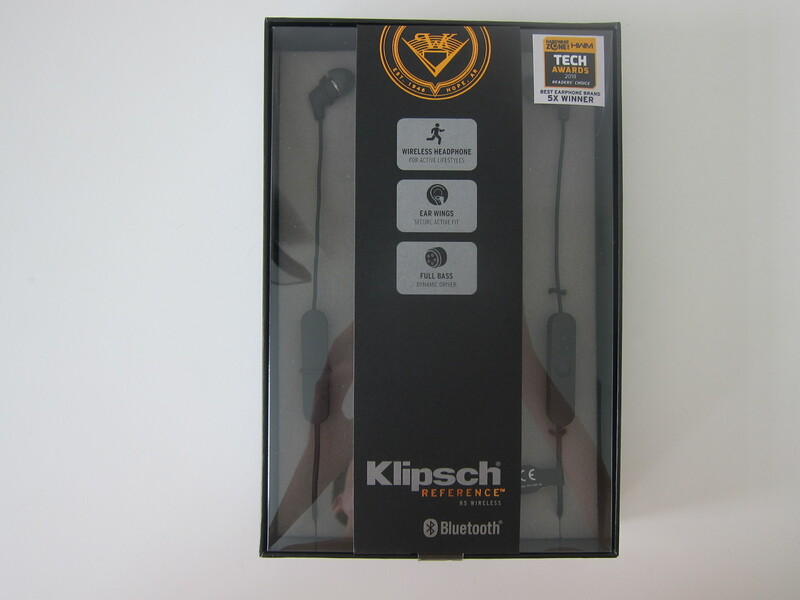 Besides the usual patented oval ear-tips from Klipsch, the R5 also includes an additional pair of Comply Ts-100 Comfort foam tips, two cable management clips, and a pair of wing tips. 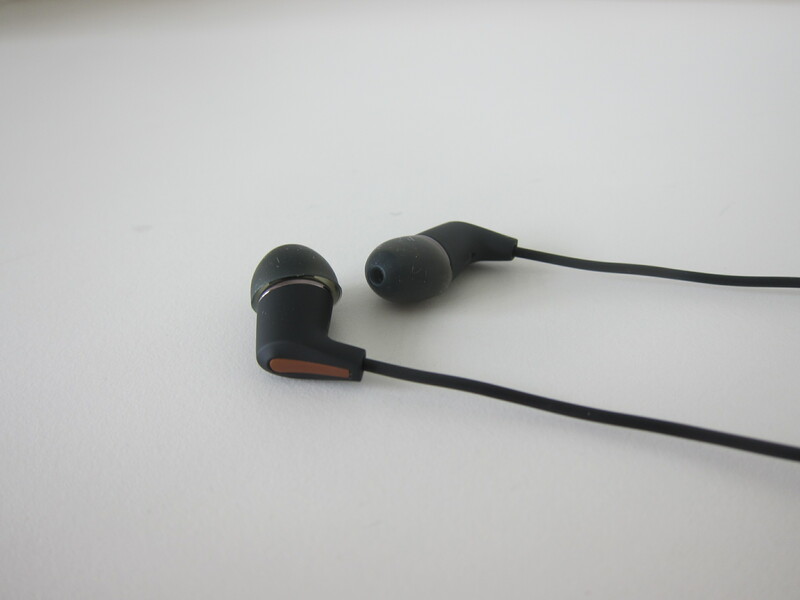 A 5 mm dynamic driver powers the R5 wireless earphones. 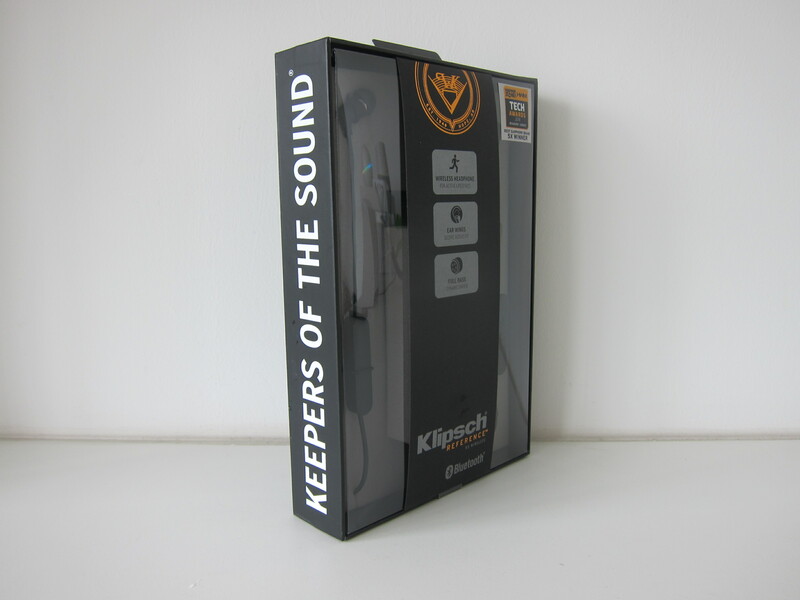 It is designed to deliver high output, full bass extension, a wide frequency range, and dynamic detail for realistic sound reproduction. 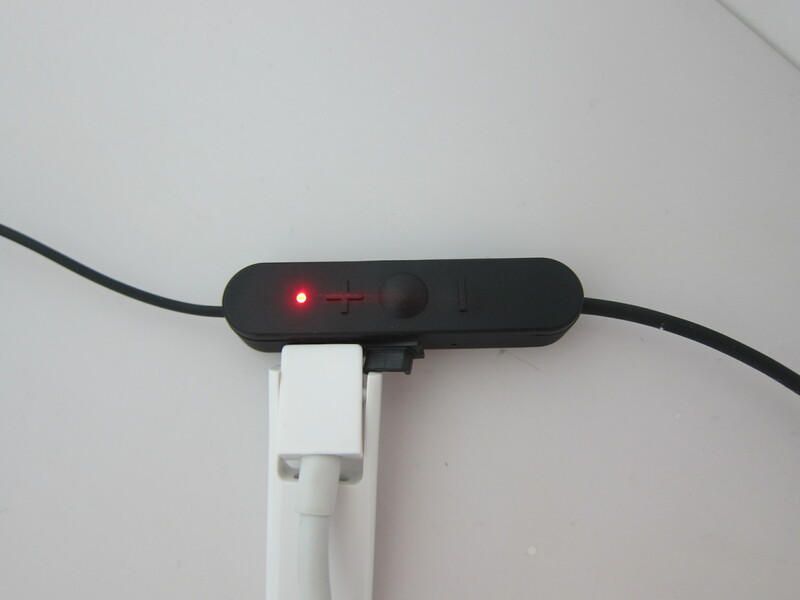 Powered by Bluetooth 4.0, it comes with Multipoint A2DP, AVRCP, Multipoint HFP Bluetooth profiles. 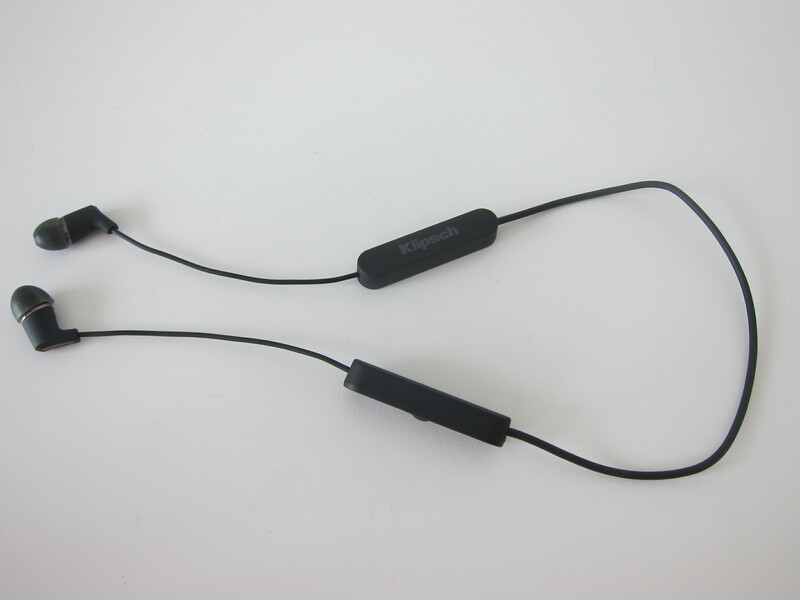 Multipoint allows the streaming of audio via Bluetooth to two devices simultaneously. A2DP codecs like SBC, AAC, aptX are supported. Unlike the R6, the R5 is targeted at people with active lifestyles aka people who are into sports. 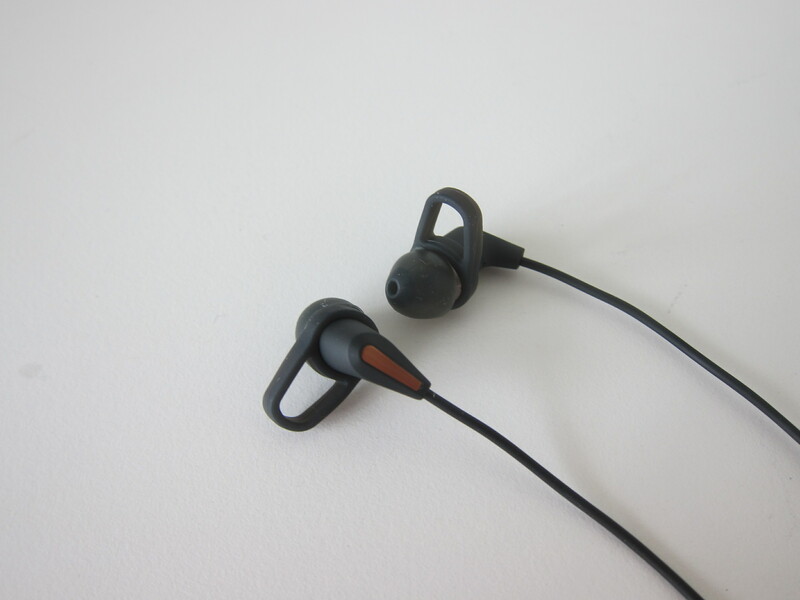 The earphones are rated IPX4, and that makes it resistant to water splashes (think sweat, moisture, and rain). I love the design of the R5 more than the R6. 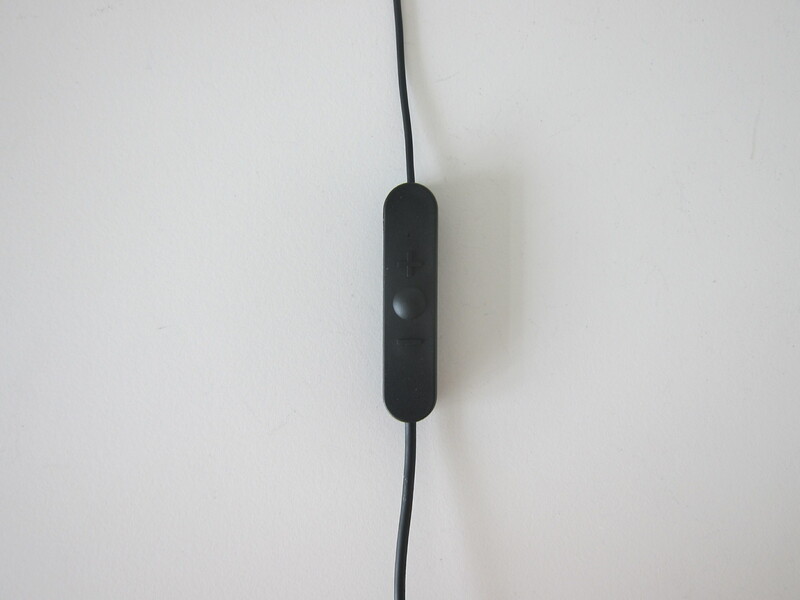 It is matte looking, symmetrical designed, and has shorter wires that make it look less bulky. There are two similar rectangular blocks on the R5 which makes it look symmetrical. One is remote and the other I am guessing is the hardware. One interesting design feature of the R5 is the cable management for dual wear. 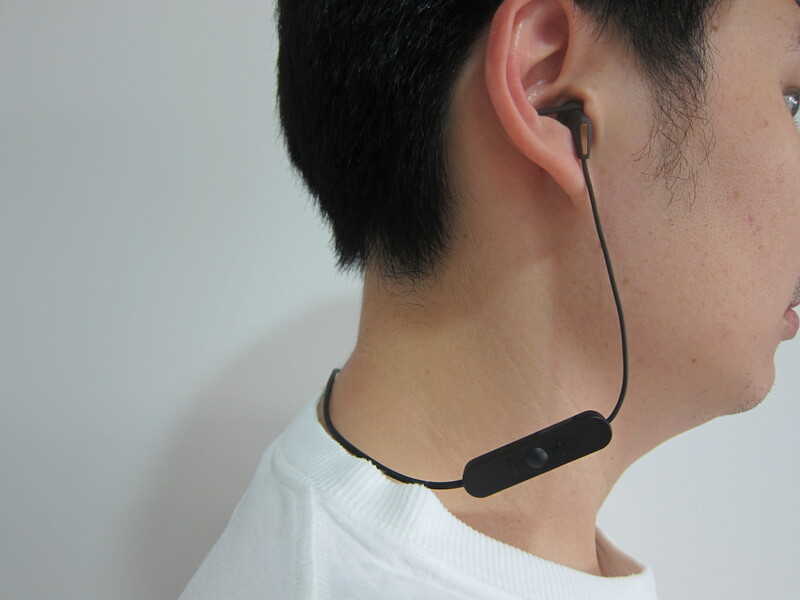 You can wear your earphones with wires coming from the top of your ears or the usual way which is dangling from your ear. Either way, the wires might be too long for comfort especially when you are exercising. 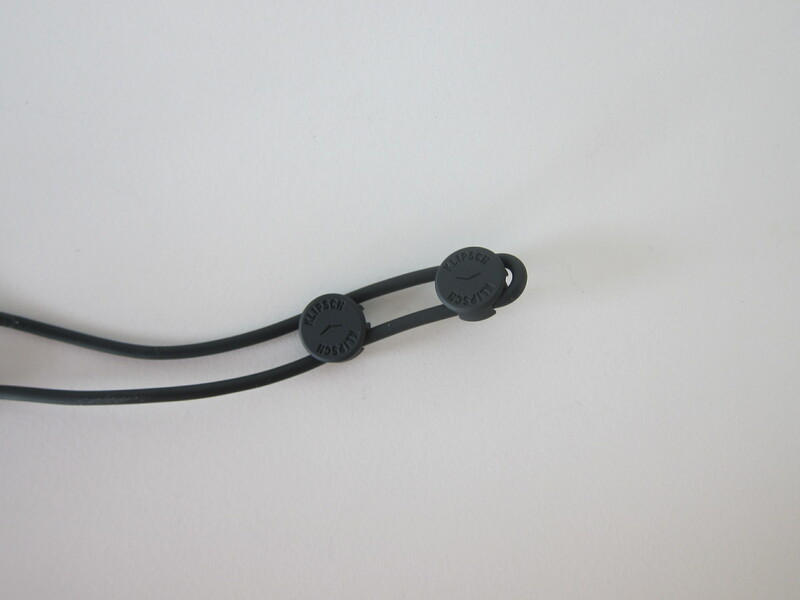 The R5 solves this issue with two cable management clips that allow you to adjust the length of the wires to your liking. The length of the cable on the R5 is just nice for me, so I will not be using the cable management clips. However, the cable is slightly long for my wife. And hence she might use it when she goes for an exercise. I don’t think the cable management clips are necessary for daily use. 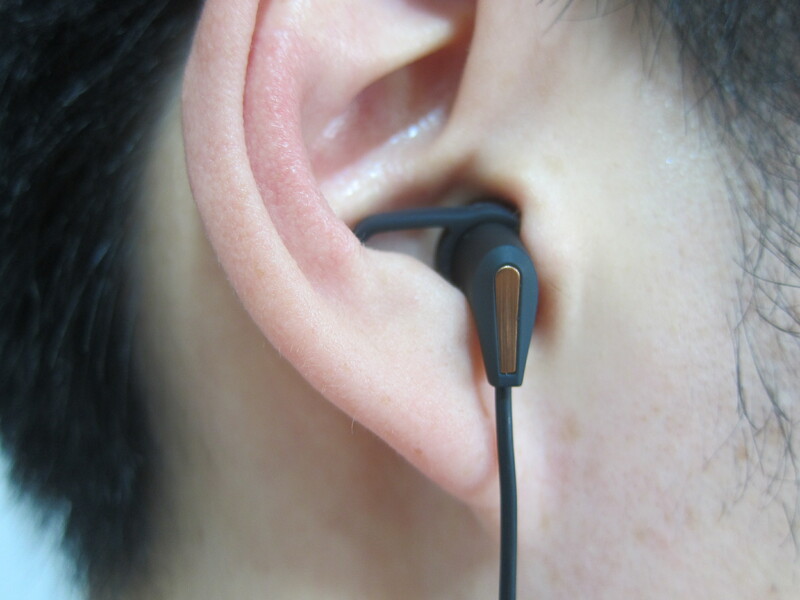 I love the wing tips of the R5 as compared to other earphones. 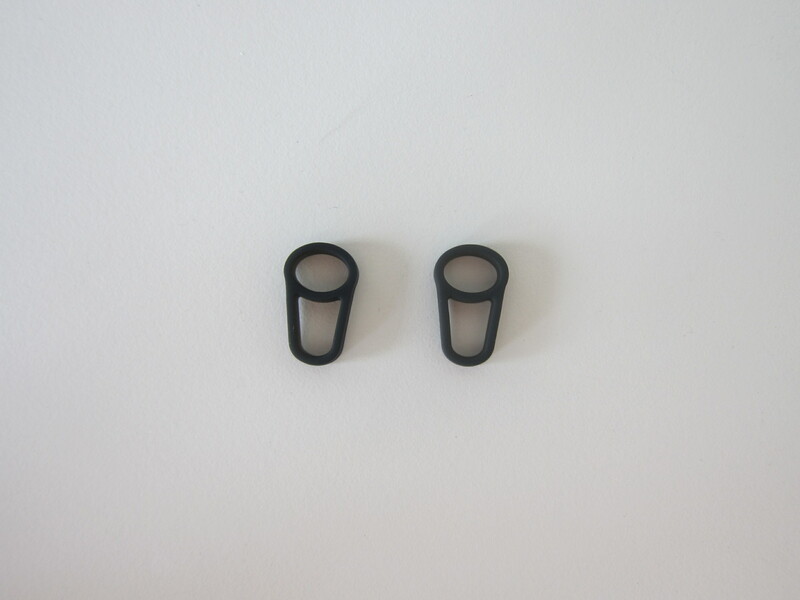 It is small, and it fits comfortably in your ears without much fiddling. 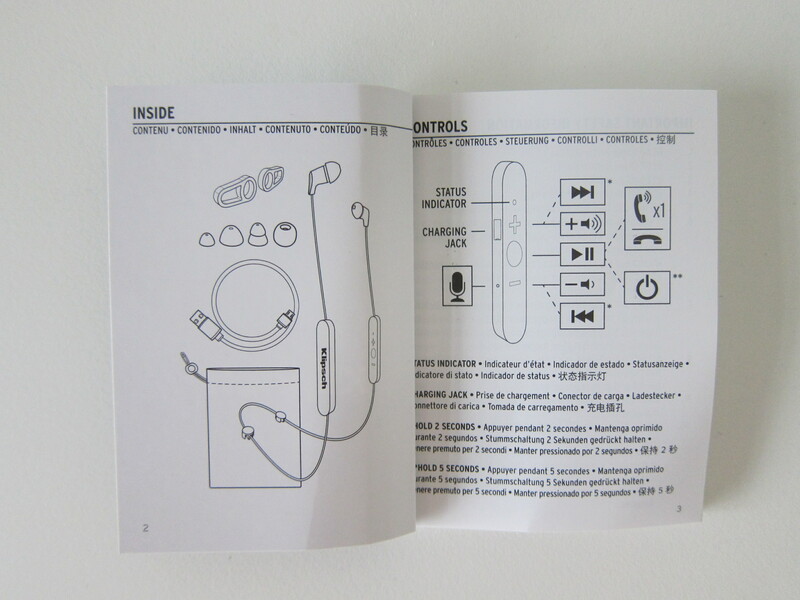 You can use any of the included ear tips with the wing tips as the wing tips are attached directly to the earphones. I recommend attaching the wing tips permanently to the R5 rather than using it only when you are exercising. 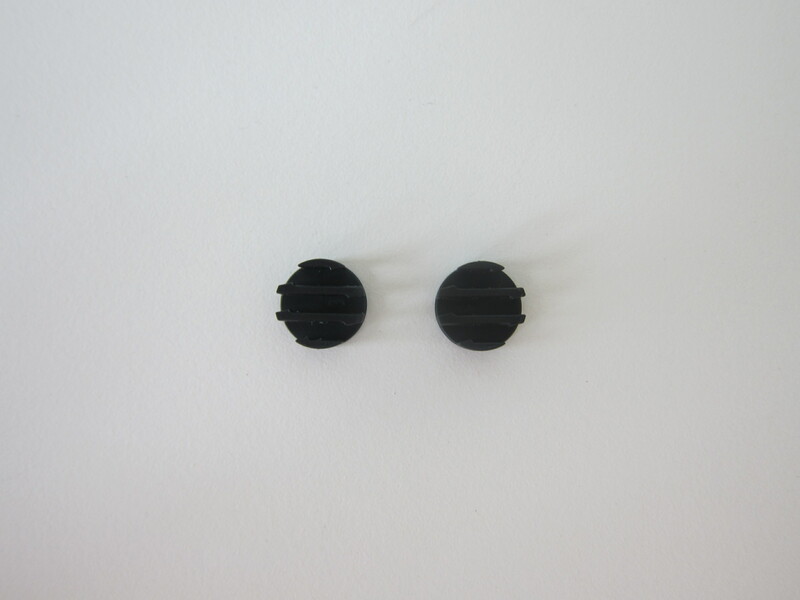 The fit is perfect, and it stays comfortable in your ears due to its small size. You will not realize that the wing tips are even there. It comes with a three-button remote that you can use to control audio playback on your iPhones or Android phones. There is an integrated microphone on the remote. So you can use it to take calls as well. 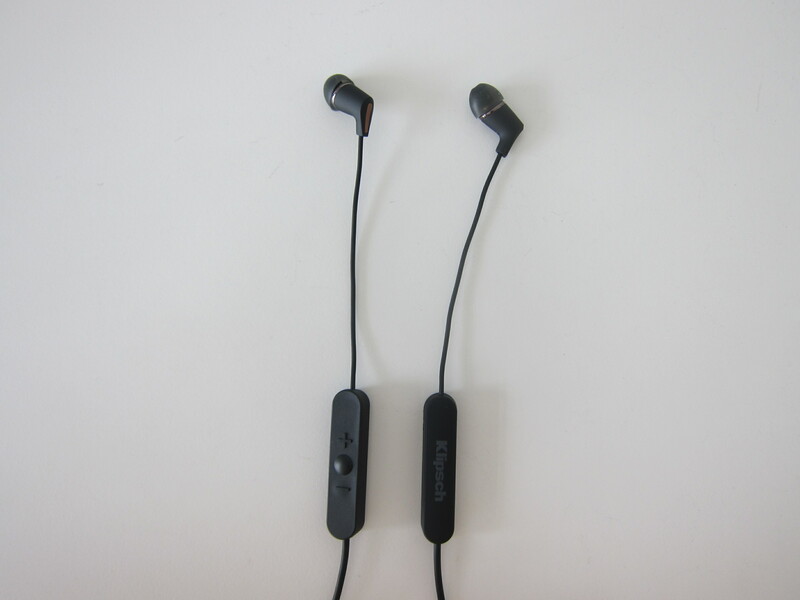 The microphone is powered by Qualcomm cVc noise cancellation technology. 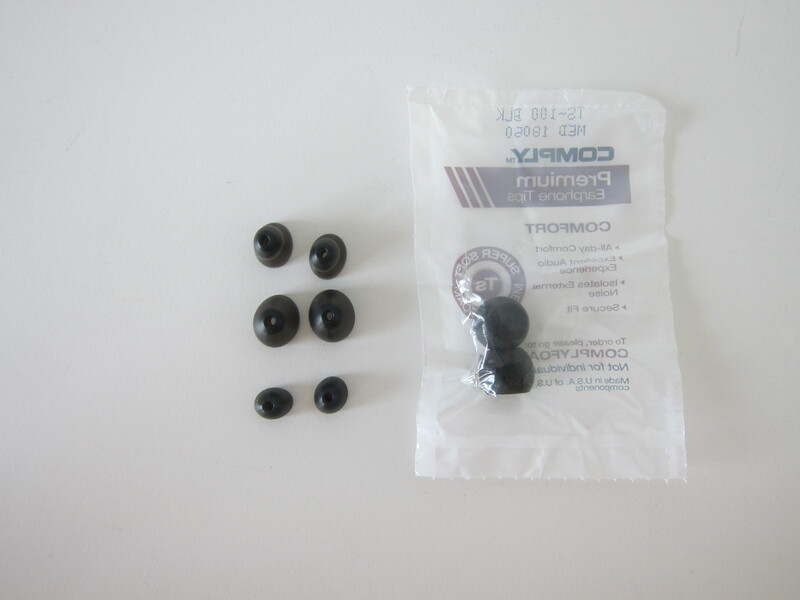 It enhances voice clarity and actively reduces environmental noises, so calls are loud and clear. Charging is done via the Micro USB port on the remote. A Micro USB cable is included in the box. The R5 comes with a single lithium-ion battery, and a single full charge will give you about eight hours of battery life. 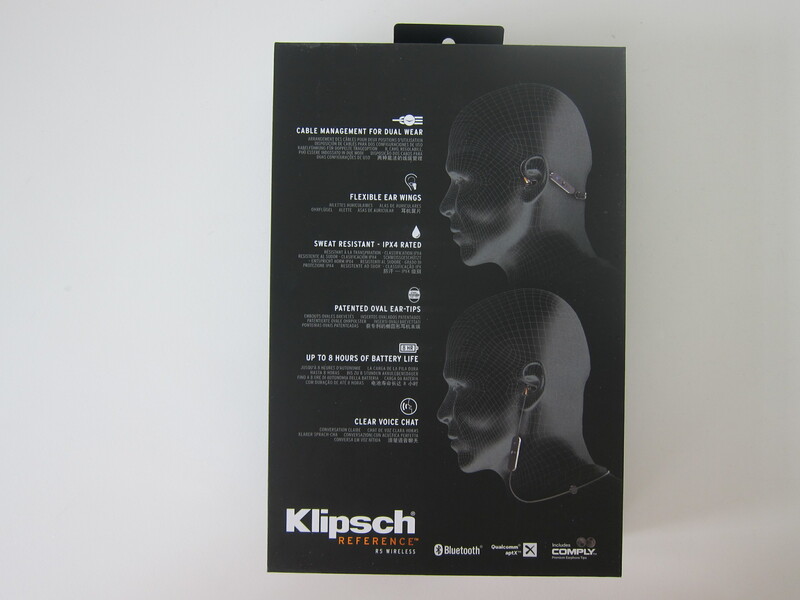 Like any Klipsch earphones, the audio quality is good for general consumers. I can’t tell any difference between their wired earphones and wireless earphones since I am not an audiophile. The bass is good and doesn’t crack under loud volume while the vocals are clear. 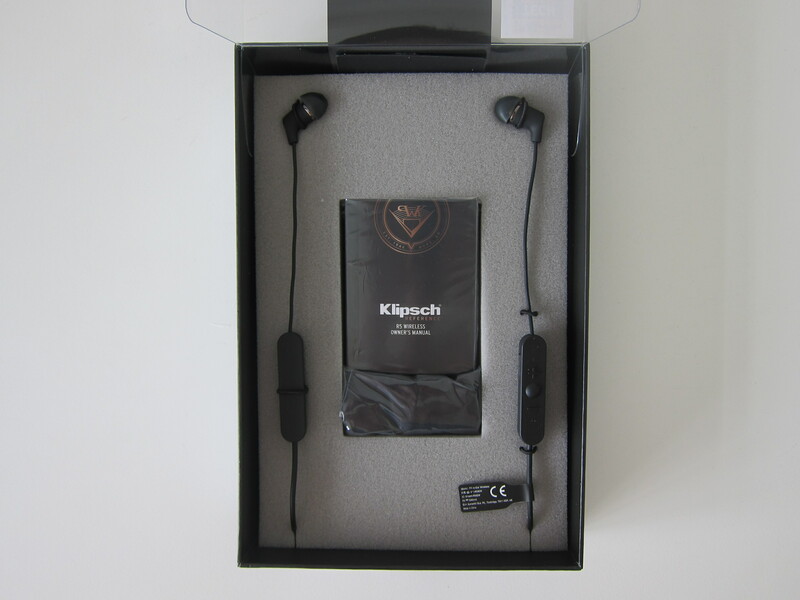 Generally, there is nothing much to complain about Klipsch earphones be it wired or wireless. 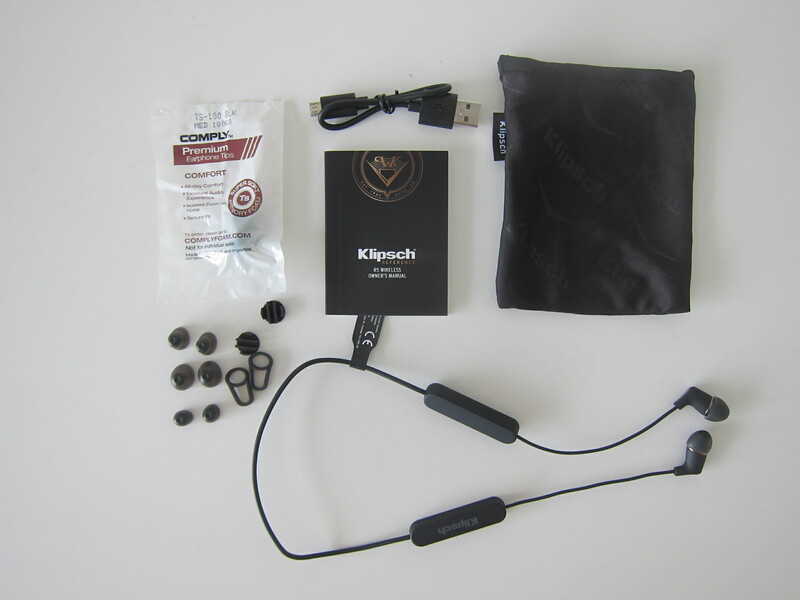 If you need a reasonably priced wireless earphones to accompany you for exercising, I highly recommend the Klipsch R5 wireless earphones. This page is generated on 20th April 2019, 14:18:39 (UTC) in 0.454s with 18 queries using 4.0 MiB of memory.